California Chrome and Victor Espinoza win the Grade I $1,000,000 Santa Anita Derby Saturday, April 5, 2014 at Santa Anita Park, Arcadia, CA. California Chrome wins the 2014 Santa Anita Derby: California Chrome took home the $1 million dollar purse and the win at the Santa Anita Derby in California at Santa Anita Park on Saturday, April 5, 2014. It was not a close race as California Chrome seemed to take the win with ease and without much effort. *See Kari & Sigi’s amazing picks! California Chrome is a three-year-old colt and was ridden by jockey Victor Espinoza in the 2014 Santa Anita Derby and is trained by Art Sherman. 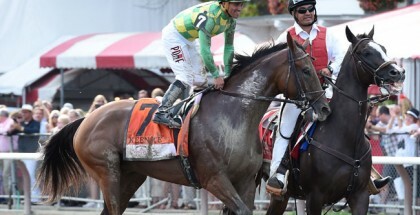 This win ensures California Chrome’s position at the Derby with 100 points towards the Derby. 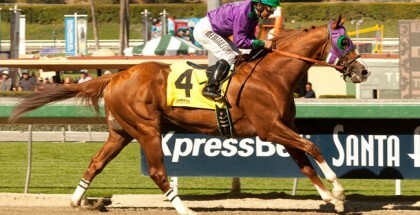 California Chrome posted a time of 1:47.52 for the 1 1/8 mile race. Hoppertunity came in second place and Candy Boy came in third 3 ½ lengths behind Hoppertunity. 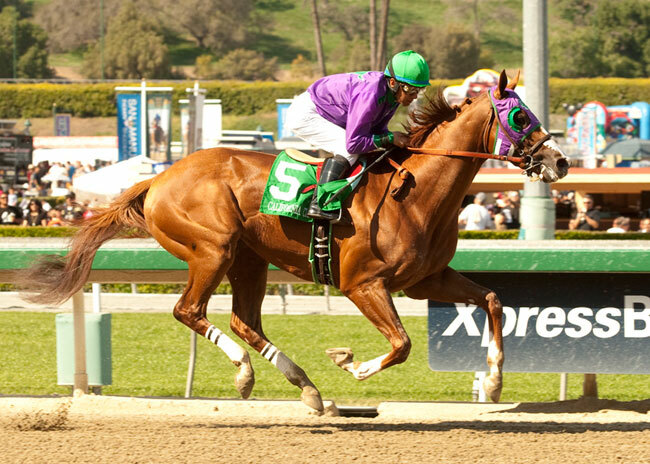 California Chrome won by a 5 ¼ length victory. California Chrome was a favorite going into the race, and he certainly proved everyone right. 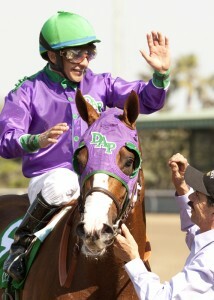 This is the fourth win in a row for California Chrome and it seemed like an easy win. It certainly did work out well. 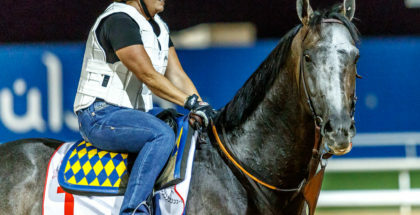 California Chrome is one of the favorites going into the Kentucky Derby and this win at the Santa Anita Derby has only built more momentum behind California Chrome. It will be exciting to see how California Chrome fares at the Derby.